Dr. Trent Douglas and Dr. Katerina Gallus discuss male breast reductions surgery including best candidates, surgical technique, and recovery. We’ll be talking about gynecomastia, otherwise known as male breast enlargement. Gynecomastia is a very common diagnosis and it affects men of different ages, most commonly in adolescence and in late ages such as in the 50s, 60s, and beyond. There are many causes of gynecomastia, ranging from medications to hormone imbalances. Surgical treatment is a very effective way of addressing concerns. The surgery involves excision of tissue, as well as contouring of the chest wall with liposuction. 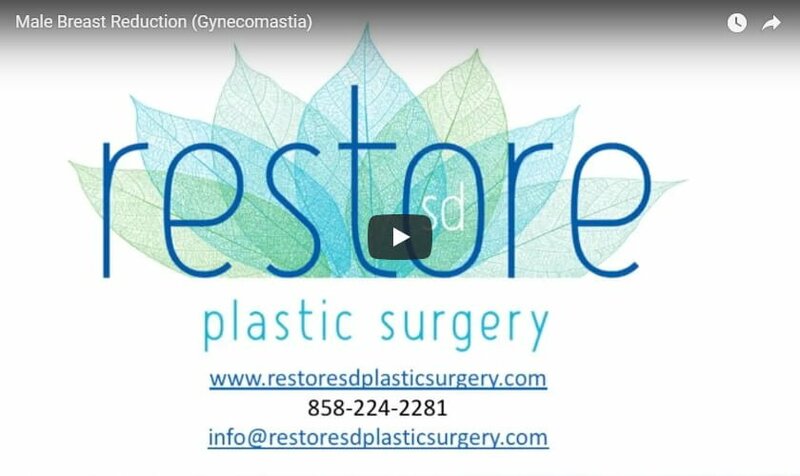 This is a very effective surgery procedure that we perform at Restore SD Plastic Surgery. We look forward to meeting you.